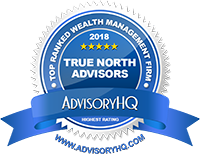 True North Advisors | True North Advisors is an independent investment advisor in Dallas, Texas that seeks to help its client live more fulfilled lives. True North Advisors is an independent investment advisor in Dallas, Texas that seeks to help its client live more fulfilled lives. In 2000, Scott Wood and Mark Gehlbach founded True North Advisors in response to the morally bankrupt atmosphere they each experienced in large, Wall Street firms, where product-driven advice was full of conflict and bias, and clients’ best interests were not being served. True North Advisors believes there is a better way to serve clients. Today, with over $1.36B in assets under advisement, we have the size, scale, systems, team and client-first perspective to help you reach your desired goals. How can we help you live a more fulfilled life! ?